Don’t waste your time on endless internet search – fill in our short form to access the cheapest deals car rental Brest is offering! Choose any vehicle and get the best price for it with car rental Brest online! Car rental Brest is your key to solving any transportation task – economy, standard, full-size or luxury vehicles as well as minivans, SUVs, sport cars or cargo vans are available for you at the best prices! We compare car rental prices and find the most affordable – you just make few clicks and the car is waiting for you. Car rental Brest is your perfect assistant for any occasion – business or vacation. No matter what you’ll get the best car rental deal in the market! 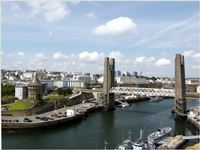 We’ve got a list of Brest car rental locations for you plus Car Rental Brest - Must Know info and a list of Places to Visit in Brest. Check it! 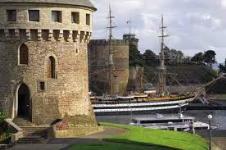 Brest is located in the north-west of France in the historical region of Brittany. The city lies on the banks of one of the bays of the Atlantic Ocean. The port was founded in the 17th century. During World War II there was located a large German submarine base. With your car rental vehicle you can explore the surroundings and you’ll appear in front of the beautiful scenery. The coastline in the vicinity of Brest is really picturesque. It is surrounded by sandy beaches and high cliffs towering above them. In the coastal waters you can swim, windsurf, go sailing and fishing. In France the movement is right-handed. Speed ​​limits: in the city - 50 km/h, on the countryside - 90 km/h, on the highway - 130 km/h. The dotted lines on the road separates parking. It’s allowed to stay only on the white label. Pointer "Payant" means "paid", and there is also free parking (with no indication). The yellow dotted line on the edge of the pavement indicates that a short stop is permitted. Les horodateurs – these are the machines to pay for parking. They are located along the boardwalk. You can pay at least 15 minutes and a maximum of 2 hours. 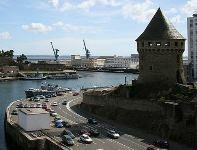 It’s hard not to notice the old castle in Brest so first drive your car rental vehicle exactly in its direction. The castle construction itself is not very attractive, but it is worth a visit Tanguy Tower. There is a museum dedicated to the history of pre-war city. It’s better to start your exploring the city with this place because it will tell you a lot of historical features of the modern city life. Don’t forget to take some photos! Oceanopolis Center is located in the east of the city. It is divided into three halls; each of them describes the different climatic zones (tropical, temperate and polar). In general, the whole center has more than 40 aquariums. By visiting it you will learn the details of marine life in different areas of the oceans. Your kids will be excited by the variety of ocean life and its inhabitants. So take your course to Oceanopolis, jump into your car rental vehicle! 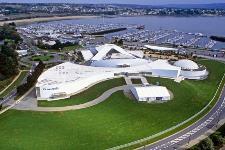 In 1996 a gallery of the Centre Atlantique de la Photographie was opened. 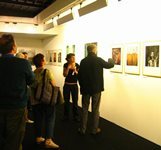 At 400 square meters you can walk watching the works of famous photographers. Annually up to 10 shows are placed there with a wide variety of photos. See how the world can be different on photo – drive your car rental vehicle to the Gallery. RentalCars24h.com offers you reliable car rental Brest services that will help you to feel free and independent when moving around the town. Providing best online prices for car hire Brest services, RentalCars24h.com allows you to save money each time when you rent a car in Brest.